Quilters gotta quilt and quilters gotta win, right? 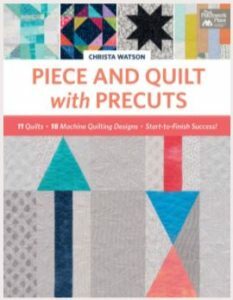 A while back we partnered with Christa Watson, author of the new quilting book, “Piece and Quilt with Precuts,” to award two lucky quilters with Christa’s book…and the Hobbs batting product of their choice. Batting for the Winners – Which will they choose? What a fun pairing, right? 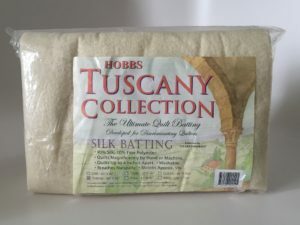 Christa sure thinks so – she’s a loyal Hobbs Batting user! Wait, what – three winners? Thanks to all who joined in on the fun and a huge congrats to our three winners! Thanks for joining us for this super fun giveaway and blog hop and thanks to Christa for partnering with us on this giveaway. And don’t fret if you didn’t win this time around, there are lots more giveaways in store, including one that’ll start tomorrow, 12/6/2017!